The product is formulated for brilliant aluminum luster finish which can resist temperature up to 500°C. 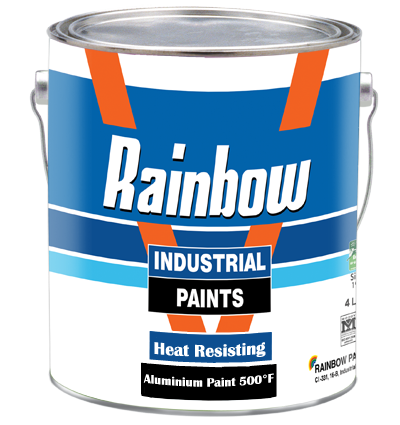 This can be used for on interior & exterior steel surface. This is a single pack product. Covering: 10 Sq. Meter / Ltrs. Film Tickness: 25 Micron per coat and 50 Micron are recommended in two coats. Pack: 0.91 & 3.64 Liters. Colour: Silver. Shelf Life: 6 Months if Kept in sealed container at normal room temperature.